Let’s face it: it’s not always easy to tell when your dog is not feeling well. 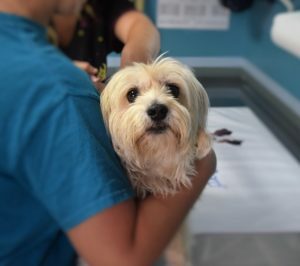 It can be extremely distressing when you notice unusual behaviors, so knowing key symptoms can help reduce the risk of your dog being affected by common illnesses. If you ever think your dog is ill you should schedule an appointment with your vet immediately. But what symptoms should dog owners watch for? All dogs drool, some more than others, and none of them have the freshest breath. But when do bad breath and drooling become a medical problem? Most owners dismiss bad breath and drooling as typical dog biology. However, if you notice your dog’s breath has become worse, or they are drooling more than usual, it could mean your dog is having dental issues and requires a visit to your vet. Just like people, dogs can suffer from poor oral hygiene and periodontal disease causing them to have increasingly bad breath and excessive drooling. The buildup of tartar and plaque inside your dog’s mouth can produce bacteria that lead to bad breath. You can usually see the buildup by checking for browning on the teeth, red and swollen gums, or even bleeding. Sometimes dogs are really thirsty so they drink a lot of water and in turn this causes them to urinate more frequently. So how do you know when it’s too much? Dogs generally drink more water when it’s hot because they lose water when they pant. They tend to drink less if their diet includes wet food or drink more if they eat a lot of salty treats. Generally a dog should drink between 20-70ml per day. Keeping an eye on your dog’s drinking habits can make you more aware of excessive drinking. Excessive drinking can be a sign of disease. The most common include kidney failure, diabetes mellitus, and Cushing’s disease. These are very serious diseases and need to be addressed as soon as possible. In order to stop excessive thirst and urination your vet must diagnose the underlying condition. Once diagnosed, most conditions can be regulated. Dogs are usually enthusiastic about food. So when your dog loses interest it can be pretty worrisome. There are numerous reasons a dog can lose its appetite, such as illness, dental disease, recent vaccinations, stress, or something very serious like kidney failure. Other symptoms that may accompany a loss of appetite can include weight loss, lack of energy, and vomiting. Alternately, an increased appetite in dogs can be caused by disease or bacteria. A few common diseases are diabetes, hyperthyroidism, and Cushing’s disease. All of these diseases result in an increased appetite. Along with a newfound hunger, your dog will also drink more frequently which will cause him to go potty more. If left untreated your dog will begin to gain weight which can lead to obesity. If your dog is eating frequently but losing weight he may be suffering from a gastrointestinal problem such as insulin deficiency, inflammatory bowel syndrome, or intestinal cancer. These will cause malabsorption in your dog. Along with weight loss, your dog will suffer from diarrhea and vomiting. 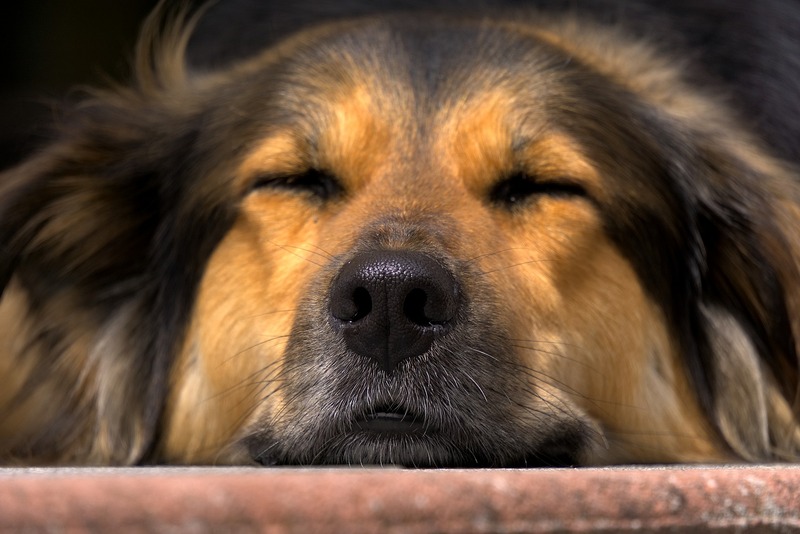 Lethargy is one of the vaguest, but most common, symptoms of illness in a dog. It can be caused by a number of things, such as medications, infection, or disease. 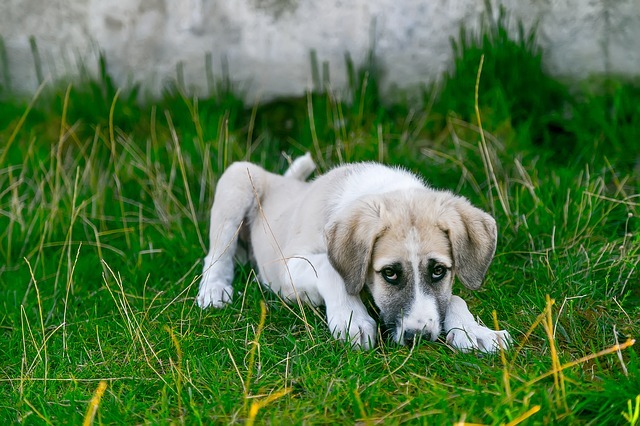 You’ll notice when your dog is lethargic because he will have a lack of energy and show little to no interest in his toys, playing, or going outside. If lethargy is the only symptom your dog has, he or she could be anemic. If the anemia is severe your dog’s gums will be pale. Canine distemper, parvovirus, heart disease, heartworms, or pain can also cause your dog to be lethargic. However, remember that as your dog gets older lethargy is normal. Stiffness, difficulty rising, and climbing stairs are usually conditions found in elderly dogs, but younger dogs can injure themselves and suffer the same symptoms. Either way, a vet visit is required. These painful symptoms in elderly, or overweight dogs, are most commonly caused by wear and tear that causes damage in the joints leading to arthritis. Diseases in the respiratory system can cause difficulty breathing, coughing, or abnormal panting in your dog. The best way to determine if your dog is having breathing problems is to already know your dog’s breathing habits. Is it normal for your dog to struggle to breathe? Breeds with pushed in faces struggle to breathe more because of their face’s flat structure. How does your dog breath during low activity or at rest? Does he only breathe heavily when excited or while panting? Knowing these things will keep your more aware when there is a problem. Difficulty breathing should always be treated as an emergency, and you should take your dog to the vet immediately if he is showing any of these symptoms. There are many reasons a dog may have an upset stomach, such as diarrhea or vomiting, which include parasites, viruses, bacteria, food sensitivity, and even stress and anxiety. One of the biggest reasons is that dogs are notorious for eating whatever they find and they can actually poison themselves. They aren’t picky eaters and they don’t think about what they are about to eat before actually eating it. They just eat it! Both diarrhea and vomiting are caused by inflammation, either in the stomach or intestines, which results in an upset stomach. If your dog has frequent diarrhea or vomiting for more than a few hours he should be taken to the vet. If it’s less frequent, but continues for more than 24 hours, you should also take your dog to the vet because he could suffer from dehydration. If you ever see blood in his diarrhea or vomit he should be taken to the vet immediately because he may be suffering from something serious. Many things can cause your dog pain. He could be suffering from an injury, arthritis, infection, or disease. 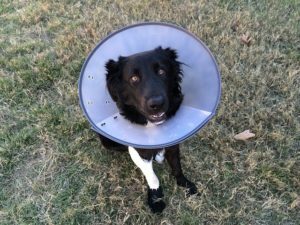 No one wants their dog to be in pain, and it seems like it would be pretty obvious to tell if your dog is in pain, right? However, dogs are not always vocal when it comes to their pain. Luckily there are signs that you can watch for so your dog doesn’t suffer in silence. Sometimes when dogs are in pain they groom themselves excessively. If your dog is licking his paws frequently it could be because he is suffering from arthritis and is licking to sooth the pain. Another sign to watch for is a change in behavior. Your dog might not be as happy to see you and may even shy away from your attention, hide from you, or even become aggressive. On the other hand, he could become increasingly needy and seek comfort from you. Watch for other signs like a decreased appetite or water consumption, lethargy, going potty in the house, being more vocal, or shaking. These are all symptoms that your dog may be suffering and needs to be seen by a vet. Like people, dogs can grow lumps and bumps, and just like people they should be checked to make sure they are not something serious. It’s best to check your dog regularly for growths so you can address them quickly. Watch for growths that appear suddenly, grow quickly, or change in shape or color because these are indicators that something may be wrong. There are many types of lumps and bumps. Some can be fatty tumors that are not cancerous, others superficial, such as cysts that will drain and heal on their own most of the time. There is also lipoma which is a soft round mass just under the skin that is usually benign. Although these lumps and bumps usually don’t need to be removed, they should be observed closely for any changes. The only way to know for sure if your dog’s lump or bump is dangerous is to have it removed and biopsied by a pathologist. Cloudy eyes usually appear in older dogs, but regardless of age, if you notice cloudiness in your dog’s eye(s) you should take him to the vet. Cloudiness can range from something minor, like nuclear sclerosis, or something more serious like cataracts or glaucoma. Other eye conditions common in dogs include excessive tearing, bloodshot or red eyes, and conjunctivitis, or pink eye, which is an inflammation of the outer membrane of the eyeball and inner lid. Along with the discharge, your dog may also have excessive tearing, red eyes, or inflammation. He may start to squint or just keep his eyes closed if he is uncomfortable. A fever is usually a sign of an infection in a dog, so it is important to keep an eye on him and take him to the vet if necessary. However, if your dog has recently been vaccinated a low-grade fever is expected and can last 24-48 hours. There are numerous reasons for dogs to itch, and along with frequent itching you may also notice head shaking, chewing, and sometimes licking. Not only is frequent itching uncomfortable for your dog, it could also cause dry inflamed skin or an infection. One common reason for itchiness is allergies. Dogs can be allergic to the same things people can except that their allergies appear in the form of watery eyes and frequent itching. If your dog tends to get itchy every spring he may be suffering from allergies. Dry skin is another common reason for itchiness in dogs. It’s easy to tell if your dog has dry skin. Just part their hair and look for any type of flaking on, or near, the skin. Dry skin usually flares up when the seasons change. Parasites, especially fleas, ticks, and mites, are another common cause for itchiness in your dog. It’s hard to tell if your dog has parasites just by looking because not all parasites are visible. Ticks can usually be seen so check your dog thoroughly. Additionally, a mite infestation can also results in hair loss. Your dog will most likely be itching in areas that are already mostly hairless, such as armpits, belly, and ears. Dogs tend to be restless when they are excited or bored, but how do you know when it’s a medical problem? If your dog is pacing excessively or changing positions frequently something could be wrong. Sometimes a restless dog has behavioral issues. If others notice that your dog is restless after you leave the house your dog is probably suffering from separation anxiety. Or he becomes restless after loud noises it could be fear causing the nervousness. Pay attention to your surroundings when your dog gets restless. Is something upsetting him? Sometimes the restlessness is due to medical issues. If your dog is in pain he may be having a hard time getting comfortable and starts to pace or changes positions frequently. Cushing’s disease, common in older dogs, causes restlessness in dogs because it overproduces the hormone cortisol which produces energy by increasing glucose in the body. Other reasons could be parasites such as fleas and ticks that can cause restless behavior along with itchiness. Chocolate poisoning can also cause restlessness, along with excessive panting, and can last for days. Also, dogs can get Alzheimer’s, a form of dementia, which leaves them feeling confused and causes them to wander around restlessly. Pale gums in dogs can be a sign of serious health problems and should always be taken seriously. 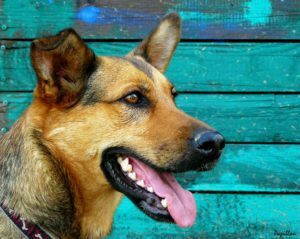 Your dog’s gums should be a nice healthy pink if he is feeling well. Some dogs have dark patches on their gums so just look at the surrounding pink areas. 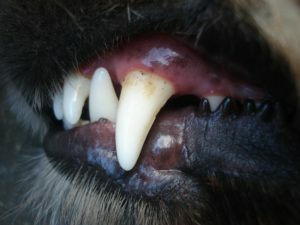 Knowing what your dog’s gums look like when they are healthy is important for later comparison. Ear infections, stroke, or an injury that results in brain inflammation can cause balance issues in your dog. When your dog has difficulty balancing he may stagger frequently, have weak limbs, or even fall down. If your dog has an ear infection he may also shake or tilt his head, walk in circles, or have eyes that move uncontrollably. Sometimes you can tell if your dog has an ear infection because his ear will appear swollen, have a discharge, or smell badly. 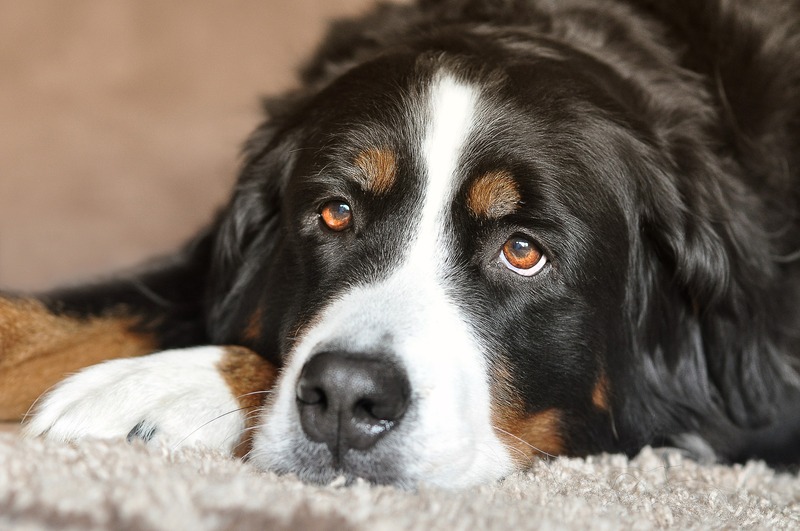 Strokes are less common in dogs, but they can still suffer from them. Along with balancing issues, your dog may become extremely lethargic and lose control of his bladder or vomit. If you believe your dog may be having a stroke take him to the vet immediately because his symptoms will only get worse. Besides these common symptoms, look into medical conditions that are common in your dog’s breed so you know what signs to look for. Keep an eye on your dog’s behaviors and habits so you can tell when he is doing something out of the ordinary. If you notice an abnormal change, even if you’re not sure, always take your dog to the vet. It’s always better to catch a serious problem early before it’s allowed to progress. Even if it ends up being nothing, at least you have that peace of mind that your dog is okay.